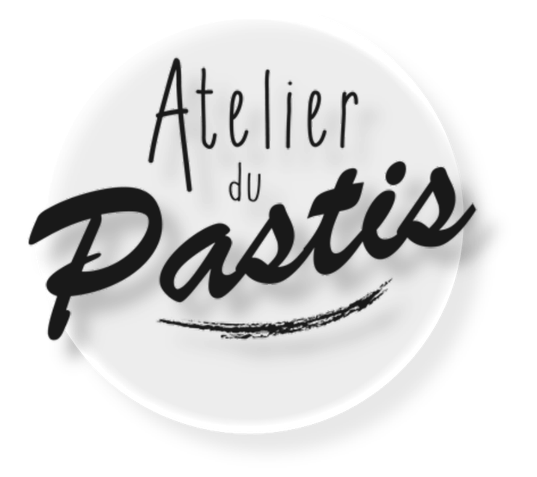 Since February 2018, the Atelier du Pastis has been producing the traditional Lotoise speciality called "Pastis" according to the recipe of "Claudine", who has made and sold these cakes for 42 years. On her retirement, Claudine encouraged us and advised us to continue this tradition in our beautiful village of Aujols, where several "Pastissières" have worked for several decades. 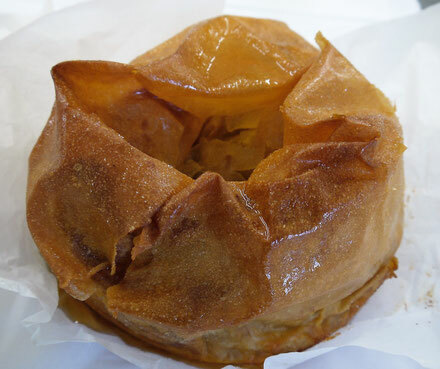 Pastis is a cake made from apples entangled in layers of extra fine dough, flavoured with rum. The tradition was once to celebrate the events (harvests, weddings etc ...) by this type of cake which was then called "the eel". "Pastisser" means "to mix" in Occitan! The manufacture of a Pastis, long and delicate, requires a very particular know-how that masters a limited number of craftsmen. The stretching of dough on large tables is one of the most spectacular aspects of its manufacture. 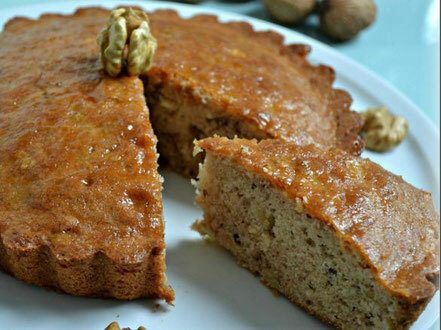 We also make delicious nut cakes, tender and melting, according to the recipe of Odile, our associate, graduated from a pastry CAP. We propose to start a nut / cinnamon version and a nut / cinnamon / orange / orange peel version. The nuts, 100% organic, come from the Dordogne. We also sell organic walnut oil from our supplier. It is a 100% nut oil, unmixed, ideal for your salads. 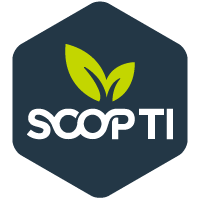 Finally, we sell teas and infusions from the cooperative SCOP-TI, created by employees of the former Unilever factory in Gémenos (near Marseille). To propose a range of teas and infusions in addition to our cakes seems to us an interesting idea, especially when it helps to support a short circuit local initiative based on 100% natural products. 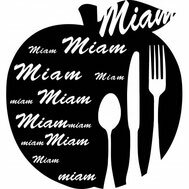 We have tasted them and we are fans! 2018 was the starting year of our activity, where we had to learn to master our profession and the process of manufacturing Pastis. We also set up our sales room and renovated the facade of our workshop. In 2019, we will deploy our products by finding new outlets, but also develop the courtyard of our workshop in Aujols to welcome hikers. We will listen to all the remarks and suggestions that will be made, to strive for the excellence of the products we manufacture.